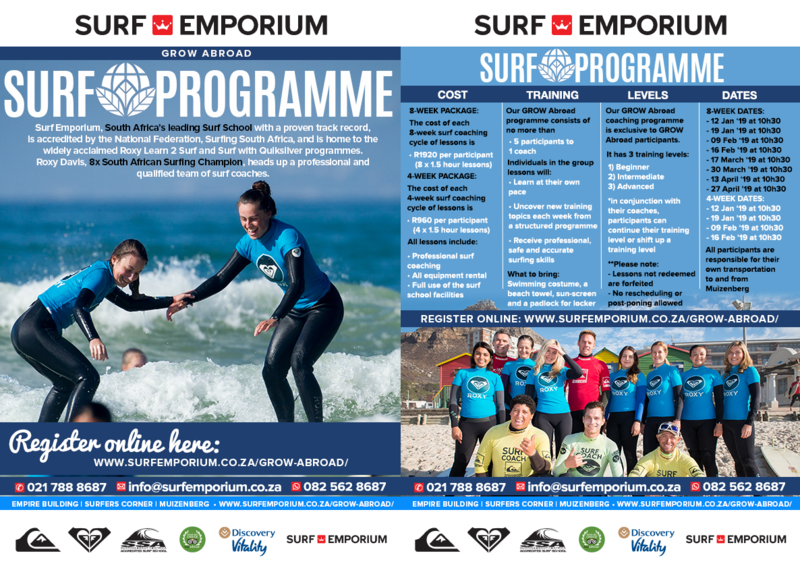 Join us for the GROW Abroad 4 or 8 week skills development programme at Surf Emporium Muizenberg. 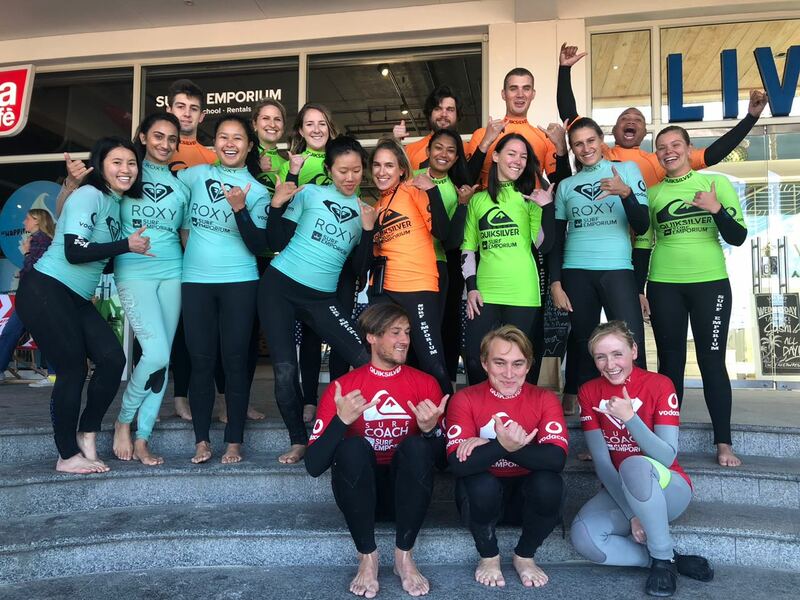 WHAT IS GROW ABROAD SURF PROGRAMME? 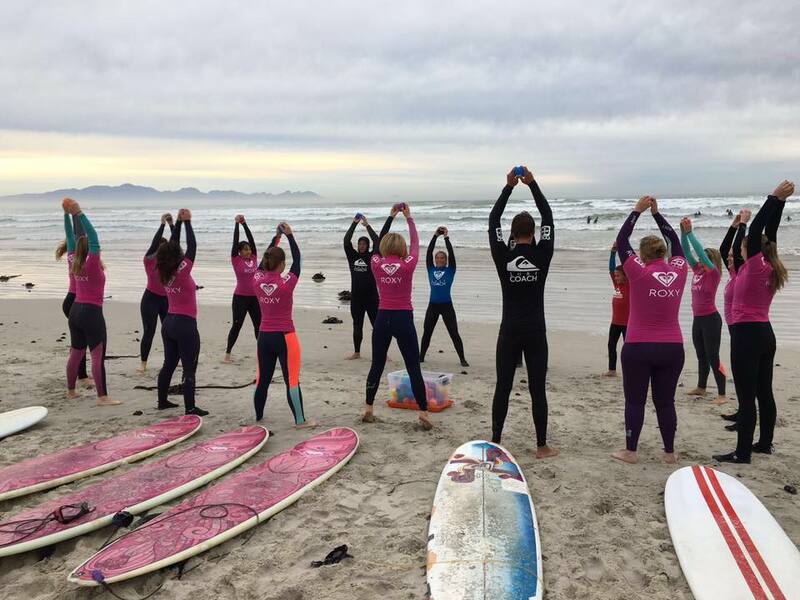 It is an 5 or 8 week training course that specializes in improving you surfing skills. With dynamic warm ups and a jam packed programme, you can go as fast or as slow as your skill level allows. 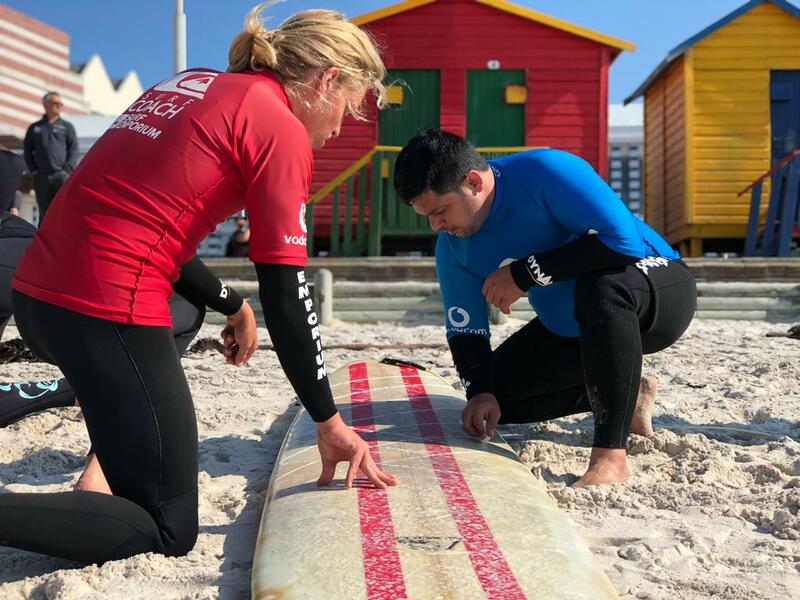 Beginner, Intermediate and Advanced surfers are all welcome. This programme is designed to suit your pace and you can choose to learn as quickly or slowly as you like. It has been specially designed for GROW Abroad and is exclusive to GROW Abroad students. 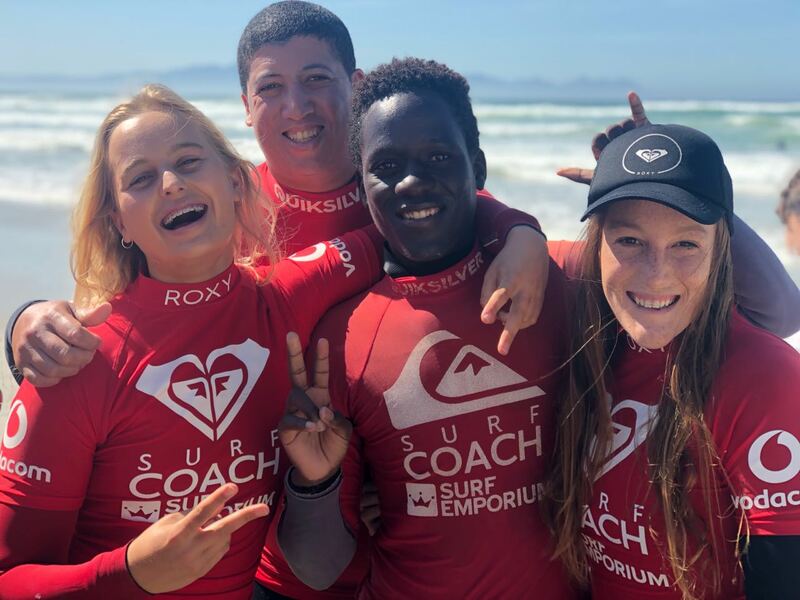 Our Programme Skills Assessment is a guideline of information you will be learning through your surfing journey and you will find there will always be something new to learn with each wave you catch! WHEN IS THE GROW ABROAD SURF PROGRAMME? 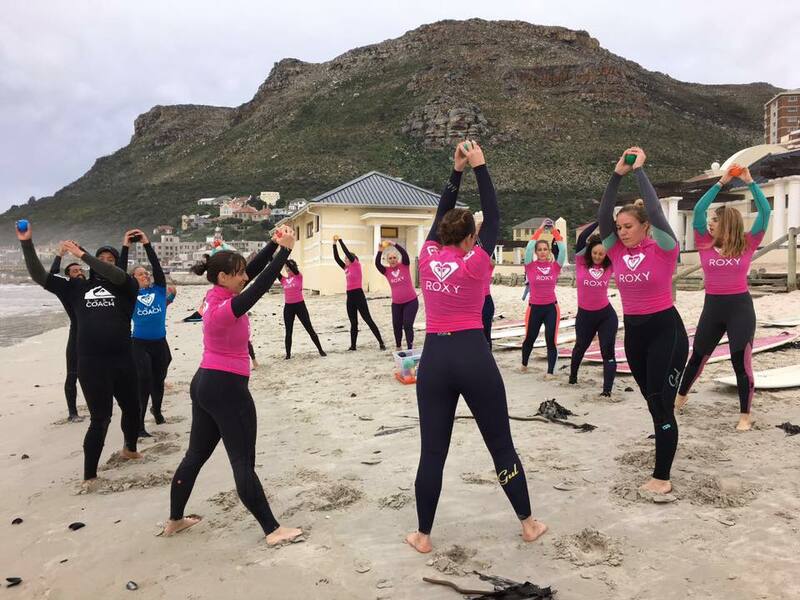 8 Week surf coaching cycle is R1920 per participant. Click here to pay. 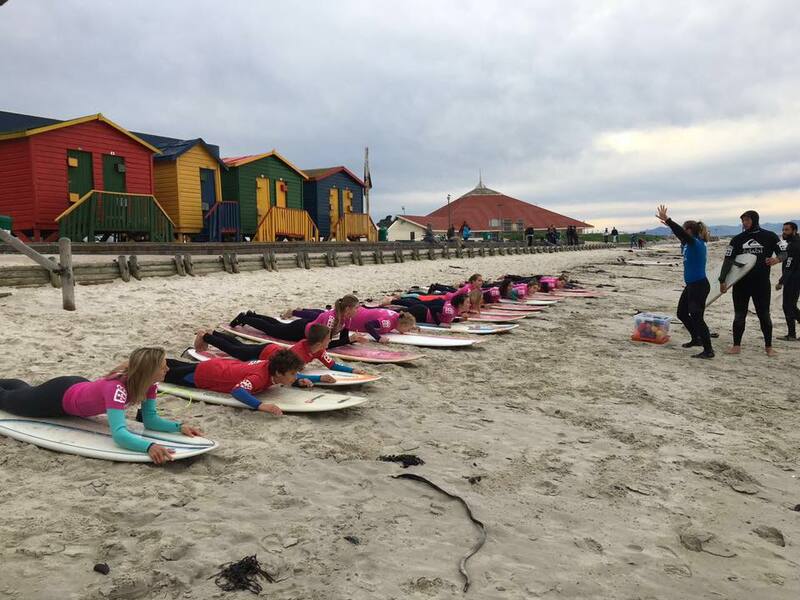 4 Week surf coaching cycle is R960 per participant. Click here to pay. *NB: Full payment to be made on or before the day of your first lesson. 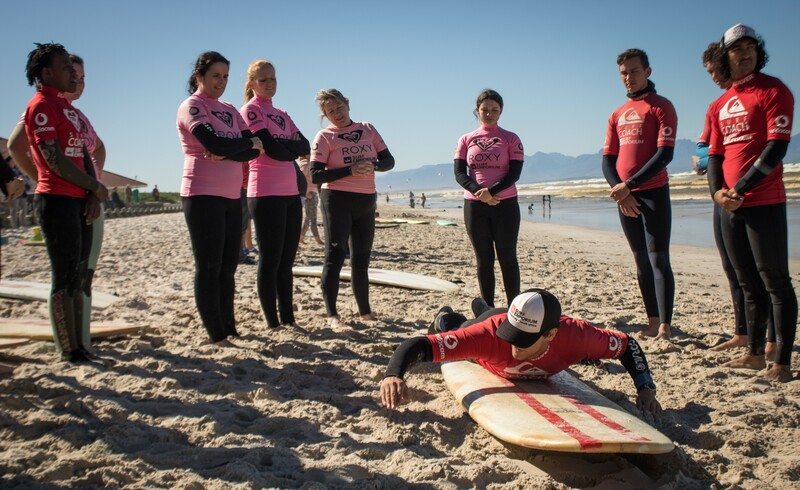 *NB: Every participant requires a completed indemnity form before they will be allowed to surf. Complete form here. Do you want to surf like a pro?